Twin Valley South’s Jasie Sarver controls the ball during the Panthers 4-0 win over Middletown Christian. 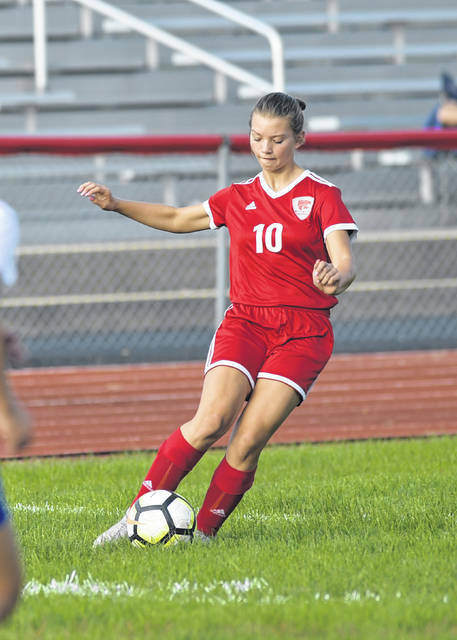 PREBLE COUNTY — Eaton’s girls soccer team has won four of it last five after knocking off Brookville and Greenville last week. Eaton beat Brookville, 1-0, on Tuesday, Oct. 2, tied Oakwood, 1-1, on Thursday, and closed out the week with an 8-0 win over Greenville on Saturday. The contest was tied0-0 at the half. It was more of the same for most of the second until a free kick was awarded to Eaton. Senior Tyler Pittman just touched it to Anna Black, who chipped the ball over the keeper for the only goal of the game. Eaton, now 6-6-3 overall and 4-4-3 in the SWBL was scheduled to host Monroe on Tuesday, Oct. 9, in the final regual season contest of the season. 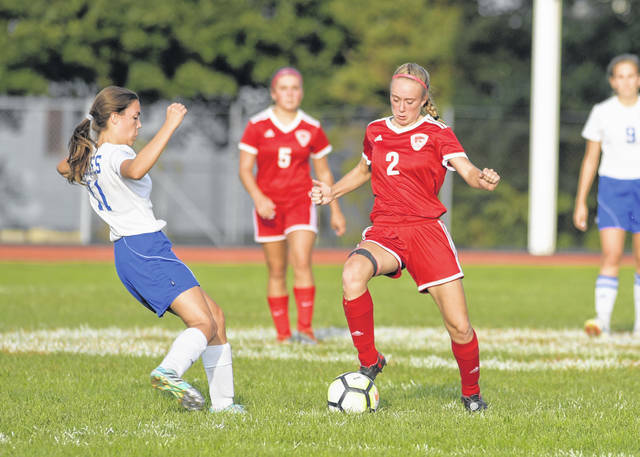 Twin Valley South got two goals and an assist from freshman Makiah Newport in a 5-1 win over National Trail. Maycie Davidson, Jasie Sarver and Allison Bassler each added a goal. Bassler also added an assist. Madi Hundley contributed a pair of assists. On Monday, South knocked off Middletown Christian 4-0. Newport netted a pair of goals, while Hundley had two assists. Angelica McKee and Sam Shank each added a goal. 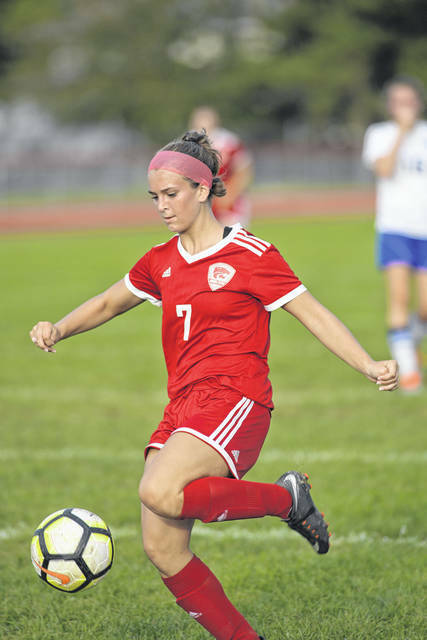 https://www.registerherald.com/wp-content/uploads/sites/41/2018/10/web1_tvsgs3.jpgTwin Valley South’s Jasie Sarver controls the ball during the Panthers 4-0 win over Middletown Christian.